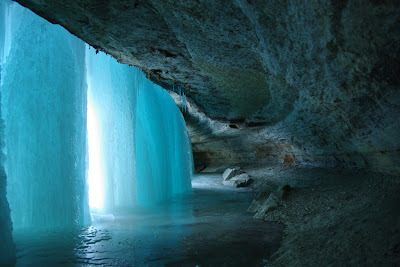 With care, one can climb behind Minnehaha Falls in the winter. Here's an image from this afternoon. I thought people weren't allowed to go back there. Anyway, awesome picture!